Shun Li works in a textile factory in the outskirts of Rome. She left her family behind in China and moved to Italy in the hope she would be able to grant her son a brighter future. To do so, she became indebted and has a large sum to pay back. Until the debt is extinguished, she will not be able to obtain the required papers allowing her small child to join her. One day Shun Li is transferred to Chioggia, a small insular city in the North of the country. Here she is employed as a barmaid and as such she get acquainted with the bar’s regulars, a strange and somewhat colorful collection of characters. Among them is Bepi AKA “the Poet”, a former fisherman of Slavic origins. As they spend time together, Shun Li and Bepi find they have many points in common, but their eagerness to develop a deeper friendship will be opposed by their respective communities. Io Sono Li (translated for the International audience as Shun Li and the Poet) by Andrea Segre is based on a true story and it is in part inspired by the filmmaker’s personal experience in his native Veneto. In spite of language barriers, Segre managed to put together a believable cast, which comprises experienced actors of international fame and nonprofessionals — among them, Rade Šerbedžija is in special way unforgettable in the role of Bepi. This is Segre’s first narrative film after his previous attempts as a documentarist. The essence of the documentary style and thoughtful flow is still used in Io Sono Li through the suggestive shots of Venice’s Lagoon, with its misty mornings and its golden afternoons, and in the care with which we are shown the vivid and remote landscape as it almost were a performer in itself. In Io Sono Li, two worlds are involved in a conflictual relationship of necessity and exploitation, that of the host country — the Italians — and that of the intruders — the Chinese. Both worlds are hindered by their own cultural confinement and unwilling to reach out to whatever they perceive as threatening and antagonistic and are faced with the kind of ignorance which inevitably fuels incomprehension and prejudice. Among them stands the character of Bepi, the foreigner integrated in his country of adoption. Bepi is the man without a country and without racial, cultural and financial restraints, thus he is in condition to see his fellow human beings for what they are. Segre doesn’t try to gild the pill by showing only the good of the relationship between Shun Li and Bepi. As people that are fundamentally on their own, Shun Li and Bepi would be inclined to develop a sincere closeness, but the woman’s social and cultural identity is an obstacle to their affective relationship. Differently from Bepi, Shun Li still belongs to her community, she has strong familiar bonds and other inevitable obligations. Even though she is aware that prejudices are unreasonable and unfair, when she is presented with a choice, she can only accept her fate and move on. Andrea Segre chooses the emotional approach to explore the crucial problem of racial integration in today’s western countries. 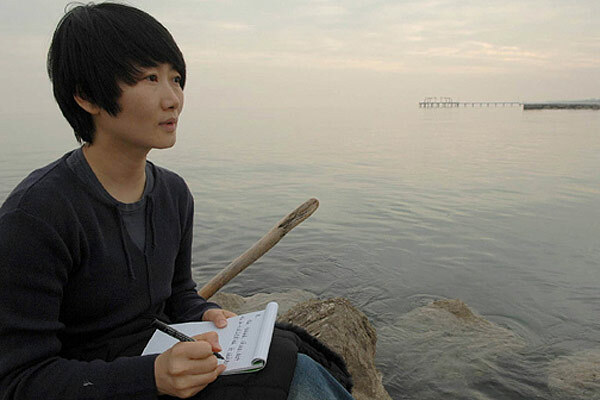 Differently from most films focused on the same theme, Io Sono Li succeeds in conveying its message without resorting to any political statement. Although the film never denies that life can assume extremely tragic connotations, Io Sono Li ultimately asserts that there is still hope in the individual, even in a world that would be inclined to fall prey to madness, resentment and indifference. Io Sono Li was in competition at RIFF 2011 and it was given a special mention by the Festival’s Jury.